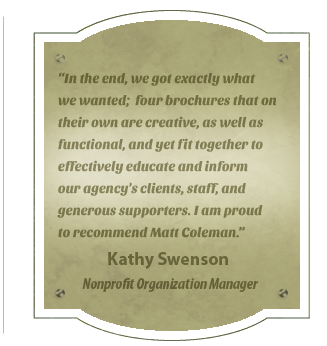 From websites to logos, brochures to advertisements, business cards to pocket folders, we’ve got you covered. Colemanworks is ready to help you show off with your next project. “If you build it, they will come.” In the land of the web, this isn’t always the case. Colemanworks can help you with Search Engine Optimization, rocketing your website rankings above your competitors. Colemanworks is a Buffalo, NY based Design Studio run by Matt Coleman, offering over 10 years of professional experience.